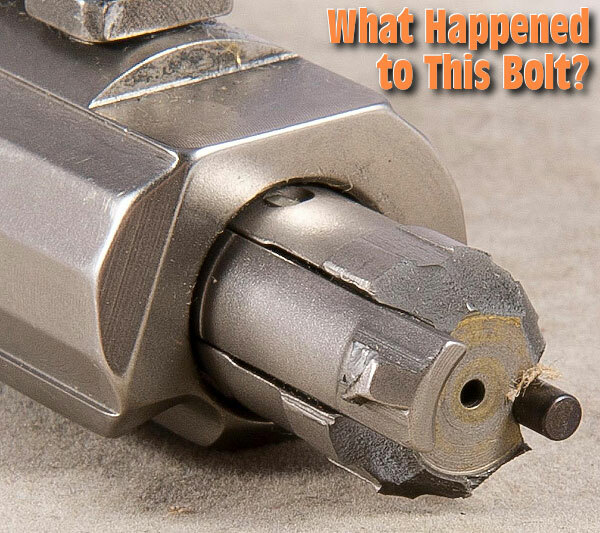 AR-15 Bolt Sheds Lugs — Can You Figure Out What Happened? Share the post "AR-15 Bolt Sheds Lugs — Can You Figure Out What Happened?" They say “things are bigger in Texas”. Well shots are longer too. 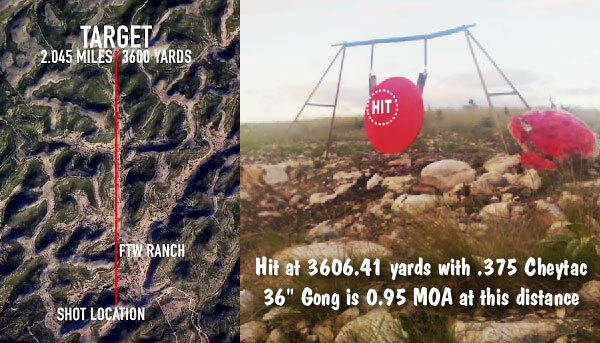 In this video, a shooter successfully hits a 1-MOA target at 3600 yards with a .375 CheyTac rifle. That required plenty of elevation to compensate for the bullet’s drop over its 2.045 mile trajectory. The shooter, Jim Spinella of New Jersey, needed a whopping 60.2 Mils of elevation (26.8 in rail, 22.6 in turret, 10.8 hold-over). Jim had to wait a long time to confirm the hit — with the metal gong situated more than than 2 miles from the firing line, it took the bullet 7.2 seconds to hit the target. 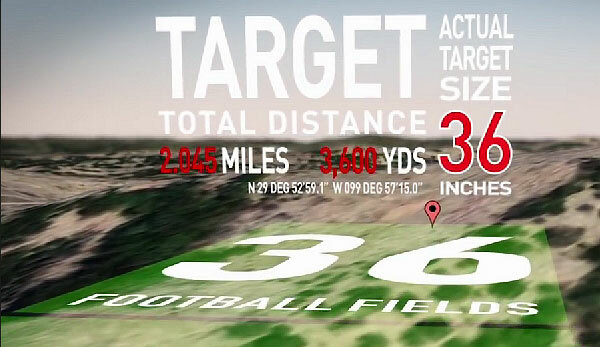 The 3600-yard hit was made with CheyTac factory ammo using 350gr CNC-turned bullets. Spinella was impressed: “The ammo chronographed out at 3080 fps with velocity differences at no more the 7 fps, which was outstanding. We found the true BC over 3600 yards to average 0.810 (G1)”. This ultra-long-range adventure took place last September at the FTW Ranch in Texas. Spinella worked with a team of experts from Hill Country Rifles, builders of the custom .375 CheyTac rifle, to achieve a 3600-yard shot on a 36” round steel target. Hitting a target at 2.045 miles is no mean feat. That 36″ gong represents slightly less than 1 MOA at that range. A lot can happen to send a bullet off target during a 7.2 second flight. Share the post "Texas Triumph: 3600-Yard Shot with .375 CheyTac"
At ranges across the country, on any given weekend, there are probably more IDPA matches than any other type of pistol competition. 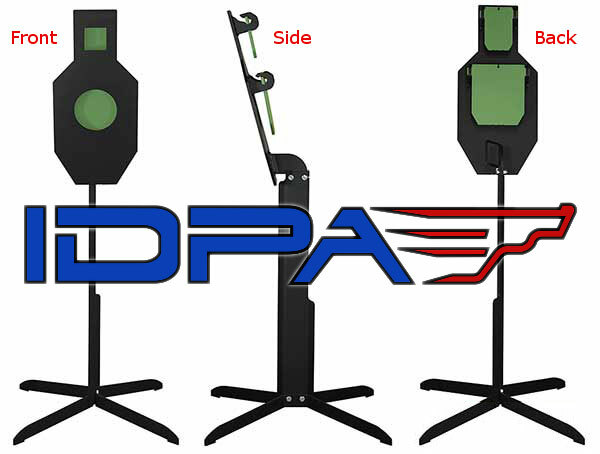 And now the IDPA has its own official steel practice target: the IDPA PT (Practice Torso). The new target, crafted by Utah-Based Action Target from 3/8″-thick AR550 steel, features a regulation torso shape with scoring zones. Green-colored reactive plates provide instant feedback. Notably, the target has no exposed bolts, clamps or brackets. 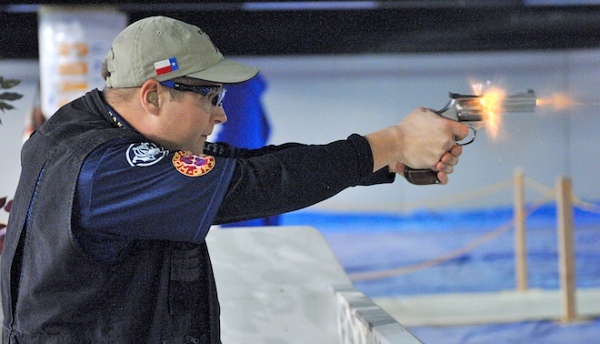 The completely flat shooting surface reduces the risk of ricochets coming back at the shooter. 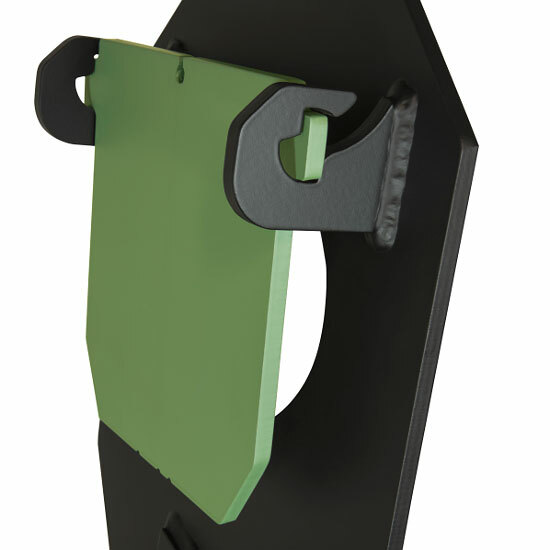 New IDPA PT Target features innovative, Patent-pending hinge design. IDPA Matches feature “real-world” type scenarios, with guns drawn from cover. Share the post "New Official IDPA Steel Practice Target"